Develop a monthly budget. If you haven’t done this already, now is the time to track the income you’re bringing in, and the expenses you have going out. Determine your down payment. If your goal is to lower your monthly payment, a good way to do this is to put more money down in the beginning. Shop around for competitive financing. Research various financing options, including dealerships, banks, credit unions and financing companies. In this competitive market, you will be given a good opportunity to find an option that works well for you. 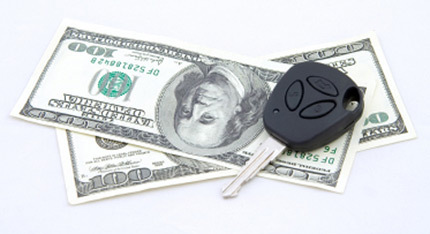 Estimate a monthly payment for your new car or truck. Compare all expenses between your existing vehicle, and the one you’re considering. 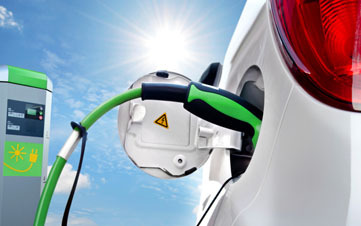 We all want to save money and with gas prices rising and rising we need to find ways to keep our cars more efficient. Here are some tips for drive more efficiently. Aggressive driving (speeding, rapid acceleration and braking) wastes gas. It can lower your gas mileage by 33 percent at highway speeds and by 5 percent around town. Sensible driving is also safer for you and others, so you may save more than gas money. While each vehicle reaches its optimal fuel economy at a different speed (or range of speeds), gas mileage usually decreases rapidly at speeds above 50 mph. You can assume that each 5 mph you drive over 50 mph is like paying an additional $0.26 per gallon for gas. Avoid keeping unnecessary items in your vehicle, especially heavy ones. An extra 100 pounds in your vehicle could reduce your MPG by up to 2 percent. The reduction is based on the percentage of extra weight relative to the vehicle’s weight and affects smaller vehicles more than larger ones. Idling can use a quarter to a half gallon of fuel per hour, depending on engine size and air conditioner (AC) use. Turn off your engine when your vehicle is parked. It only takes a few seconds worth of fuel to restart your vehicle. Turning your engine on and off excessively, however, may increase starter wear. When you use overdrive gearing, your car’s engine speed goes down. This saves gas and reduces engine wear.